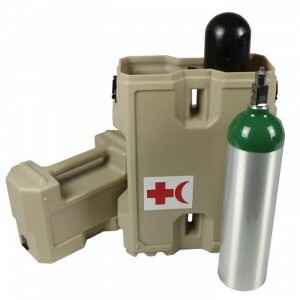 Today, Ameripack has launched the TankTote, a protective carrying case for oxygen cylinders. The TankTote is a rotationally molded shell used to house 2 “D” size 95 GL tanks safe in a lightweight, protective storage case. The case features a rugged outer shell and comfortable, molded in handles to provide the ultimate protection while remaining comfortable to carry.